Comment: Need new stonework for the front porch and walkway. Old tile needs to be removed as well. Comment: End unit townhouse. Current front stoop is standard door width. Want to expand stoop beyond width of doorway as well as further out/forward from the door. Approximately 4' x 4'. Only one step high. Don't know if this can be done adding onto the exisiting concrete or if current step needs to be demo'd. Have brick samples from local brickyard that match house. As an option, would also like price on facing existing walkway with matching pavers. Comment: Want to replace, widen and extend aged driveway and walkway. Considering pavers and concrete. Currently have concrete. Gaithersburg Brick & Stone Masonry Contractors are rated 4.74 out of 5 based on 1,694 reviews of 44 pros. 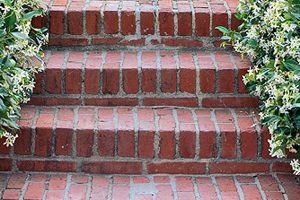 Not Looking for Brick & Stone Contractors in Gaithersburg, MD?